Jamming with other penguins at the Lighthouse is one of the cooler features Club Penguin created in my opinion, and the music is nice to listen to. There are 6 instruments used to play the full song, those being drums, acoustic guitar, electric guitar, bass, trumpet, and tuba. 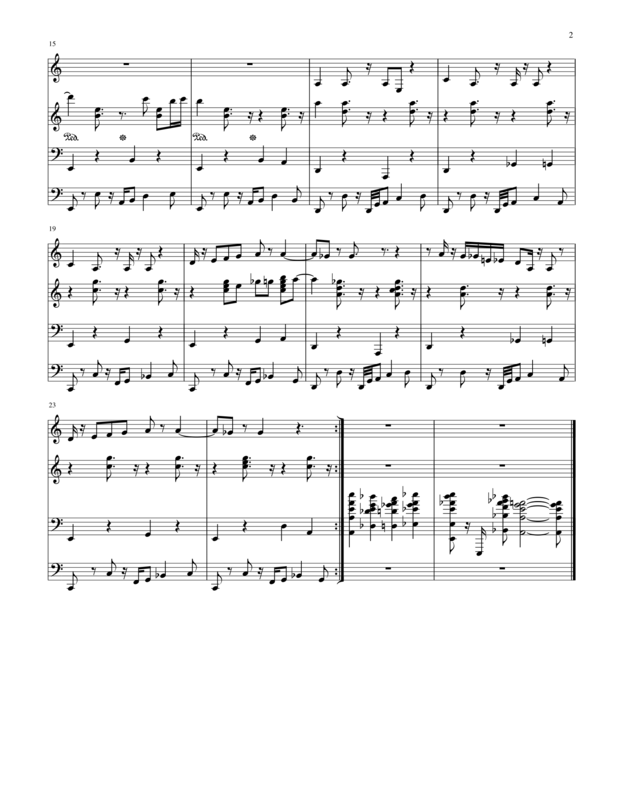 I wrote out the notes for 4 of the 5 melodic voices: trumpet, electric guitar, tuba, and bass. On Noteflight I used a trumpet sound for the trumpet, acoustic guitar for electric guitar, piano for tuba, and upright bass for electric bass. I labeled each one in front of the 4 staves on the sheet music. 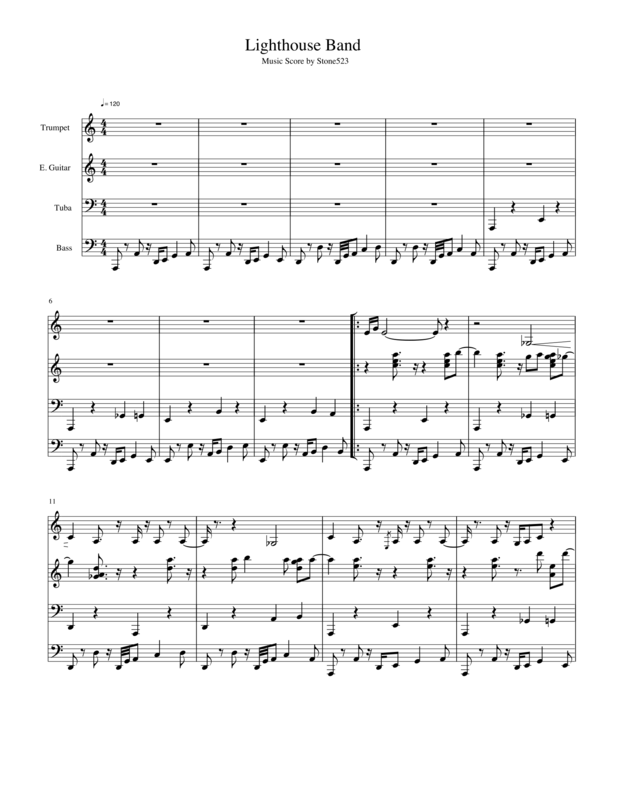 Here is the sheet music and below it is the video of Noteflight playing the score.